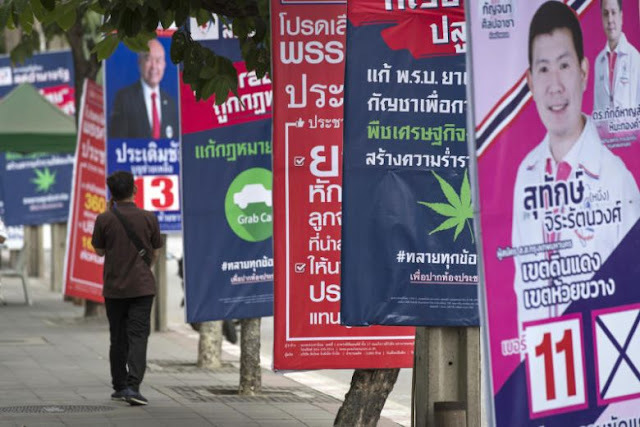 The United States exists an entire ocean away from Asia, yet its policymakers, politicians, and even Secretary of Defense Ashton Carter have declared America's "primacy" over the region, vowing to assert itself and its interests above all nations actually located in Asia. Reiterating the notion of American primacy and exceptionalism is a full-time occupation for the US State Department's employees. 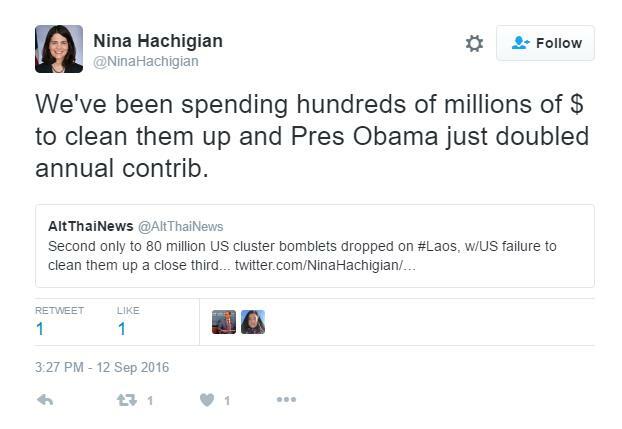 This includes US Ambassador to ASEAN Nina Hachigian who pointed out to followers on Twitter that she had "spoke to some Lao shop owners" following US President Barack Obama's recent visit to the Southeast Asian nation, and "they said [President Obama's] visit was the most exciting and significant event in decades." We've been spending hundreds of millions of dollars to clean them up and President Obama just doubled annual contributions. 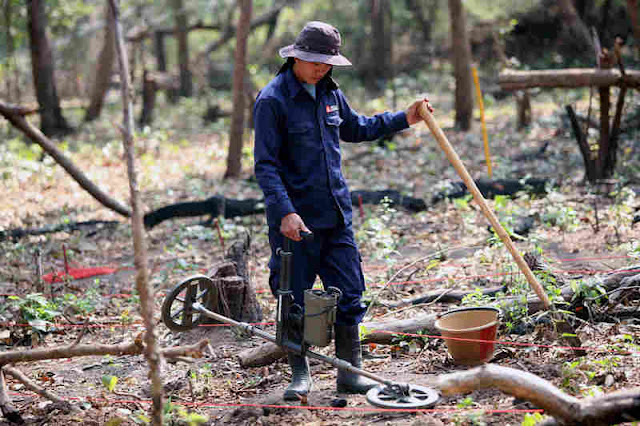 At 100,000 submunitions per year, Laos should be safe from US cluster bombs in just under 1,000 years. This is hardly "cleaning up." The Diplomat, US President Obama and US Ambassador Hachigian, however, are helping Asia understand the real legacy of America in the region - one of both catastrophic war, and of what are essentially deadly, enduring consequences that will haunt generations for 1,000 years to come - quite literally. However, President Obama's "regrets," and Ambassador Hachigian's attempts to portray America as taking responsibility for the ongoing consequences of America's actions could be interpreted as apologetic by some. However, one must remember that an apology must also be accompanied by a genuine desire never to repeat the offense in question again - something the US clearly has no intention of doing. Even as President Obama and Ambassador Hachigian announce America's desire to go from doing virtually nothing about the 80 million cluster bomb submunitions scattered across Laos, to doing next to nothing about them, the US is currently assisting their allies in Saudi Arabia to blanket the nation of Yemen with them. 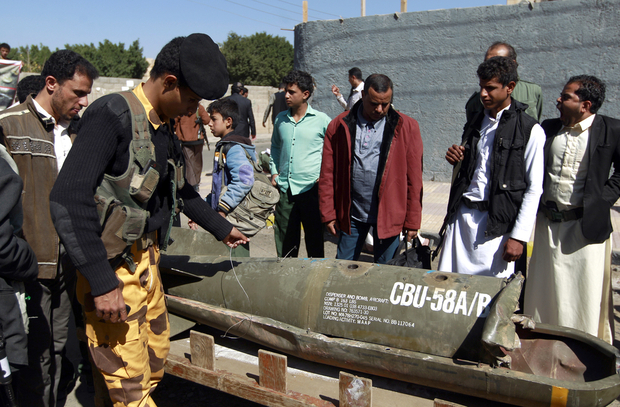 Congress has opted to continue selling cluster bombs to Saudi Arabia, citing a need not to "stigmatize" the weapon. But human rights advocates pointed to the close vote, 216 to 204, as progress towards ending the U.S.-Saudi trade of cluster munitions, which advocates say causes indiscriminate carnage. 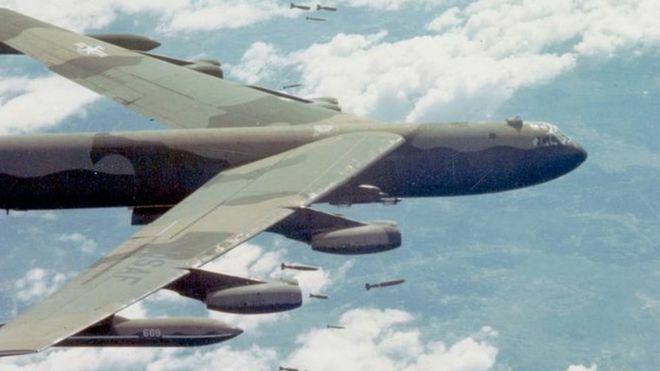 And while Laos faces 1,000 years of US cluster bomb munitions if current levels of disposal are maintained, nations like Iraq and Afghanistan facing US depleted uranium have several million years to wait until the danger subsides based on uranium's radioactive half-life. Fact checking the US President and various US ambassadors' rhetoric regarding America's true record in Asia points out a nation of infinite arrogance, unapologetic for the enormous and enduring suffering it has brought quite literally from an ocean away, and proves with its current actions elsewhere throughout the world that it is ready and willing to sow yet even more chaos. Considering this, one must be forgiven for wondering just what "security" Secretary Carter is referring to that the US is underwriting in Asia - it is certainly not security those in Asia are enjoying - certainly not in Laos - at least not for 1,000 years to come.